A Star is Born (again) as Lady Gaga steals the show in Bradley Cooper's directorial debut. Film remakes can be a tricky act to undertake that will always inevitably be dogged by questions like “Will it be as good as the original(s)?”, and of course “Why is this being made?”; though the concept of remakes isn’t new there seems to be a greater resurgence of the practice in the last few years, (especially from Disney) and so the announcement that a new version of A Star is Born was in production naturally garnered some skepticism. Yet for all the worry, audiences need not fret, for the 2018 version is not a simple retread or hackneyed story. Instead, they will be very pleasantly surprised to see not simply a remake, but an emotionally intelligent and entertaining film. In his directorial debut, Bradley Cooper (who also stars and co-wrote the screenplay) took a considerable risk in choosing this particular title, yet his passion and heartfelt understanding of the material shines through and is one of the reasons why this 2018 version succeeds. Although many audiences may be familiar with the premise of A Star is Born ( after all it was first released in 1937, and remade in 1954 and 1976 with Judy Garland and Barbra Streisand respectively), Cooper has managed to not only modernize this tale for 21st-century viewers but ultimately retain a sense of timelessness. This is a story about human love, success, and tragedy that can never really age and in 2018 the movie shows it can still be fresh as well as classic. Cooper assembles a strong cast of supporting actors that help bring forward this very heartfelt screenplay; add in an effective use of cinematographic shots of real-life concerts, with good use of shadows, lights, and close-ups, Mirroring the look of a rock documentary, A Star Is Born shines especially during the musical performances. And besides his behind the scenes work, Bradley Cooper also excels in front of the camera as alcoholic country music star Jackson Maine, revealing a surprisingly good singing voice. 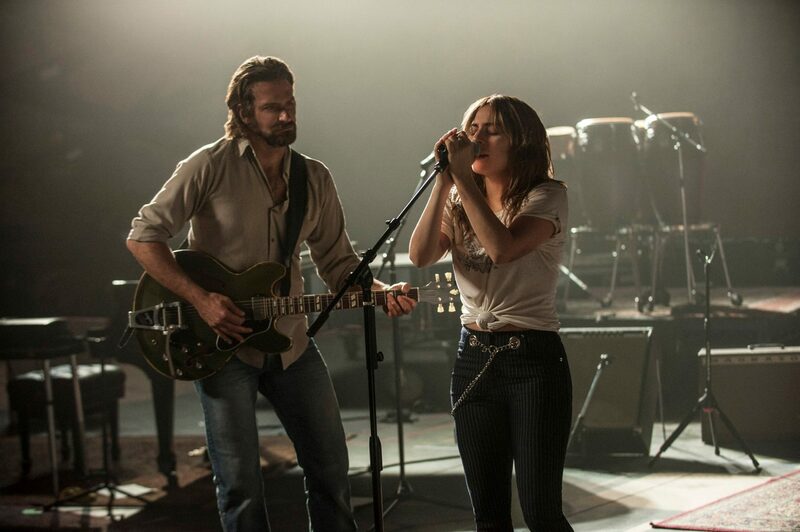 Opposite Lady Gaga as fledgling singer/songwriter Ally, the main leads go beyond just having chemistry but musically their sharp and incisive lyrics really meld together seamlessly in their performances. 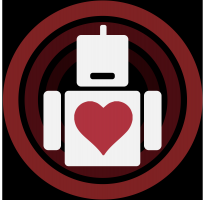 There is a wonderfully natural and sympathetic tone in the character’s relationship (which extends to the supporting roles as well) where the act of acting takes a back seat to realistic personifications. Lady Gaga is an obvious megastar in her own right, creates a very touching persona in Ally; filled with immense talent but still unsure of how the world would accept her, she finds a true knight in Jackson Maine despite his crippling personal demons. Unlike Gaga who has always been audacious in her performances and wardrobes, Ally is reserved and insecure. It shows a genuine acting talent from Gaga, who does indeed make it look easy. Perhaps there is a little bit of Ally in the real Lady Gaga, and why she is able to come alive on the screen in a most effective way. The performance is very real and never forced and together with Cooper’s charming and supportive Jackson, even in the face of his addictions, the on-screen ups and downs of the couple bring us along on a journey of emotion and inspiration. Of course, as a musical, the song score of the film would be expected to play a central role and it does so excellently. 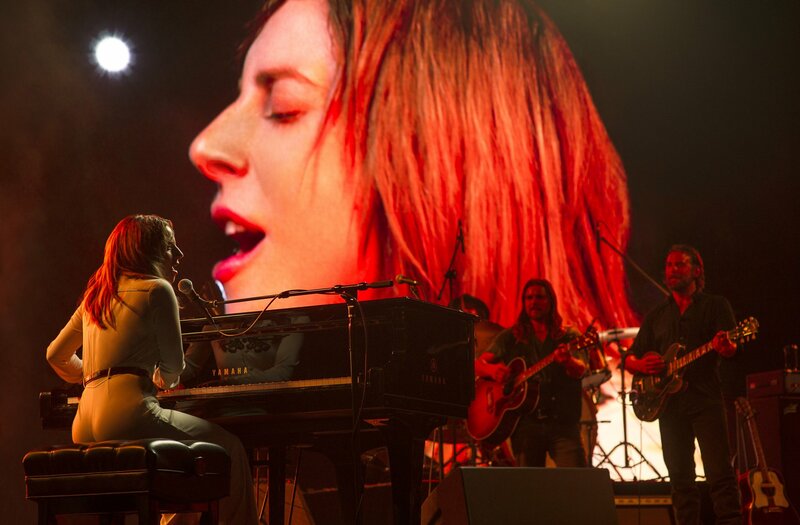 Featuring songs written by Cooper, Gaga, country musician Lukas Nelson as well as other songwriters, the soundtrack of A Star is Born is as much an essential character as the others. Not only are the songs melodically pleasing and soaring tunes, but their sharp and incisive lyrics also compliment Ally’s and Jackson’s respective struggles. Among the standout songs include the main theme “Shallow“, “Always Remember Us this Way” and “I’ll Never Love Again“, effective and beautiful compositions that should be considered strong contenders for awards recognition. A lovely rendition of the Edith Piaf classic “La Vie en Rose” also shows off Lady Gaga’s wide range of musicality. Featuring some interesting behind the scenes views of the music industry, A Star is Born does occasionally veer into predictable territory. As Ally’s star rises, Jackson’s begins to fade leading to a conclusion that some may spot from far away. But throughout its runtime the film remains consistently engaging, providing a rich tale of love, music, triumph, and hardship. Though a remake, Bradley Cooper’s version of A Star is Born takes the basic human elements of the story and places it in a new era; but the timelessness of these emotions ensure that the movie feels both modern and nostalgic. Anchored by compelling lead performances and a soundtrack that delivers as any good music should, this 2018 remake shows that, like its predecessors, it is an excellent and rewarding outing at the movies. As 2017 comes to a close, we give our selections for the best movies of 2017. Stronger is a handsomely made movie that will have its audiences inspired to learn that the will to live can withstand even the most malevolent times. Review: Fate Of The Furious Is An Uninspired Entry Into The Franchise. Fate of The Furious is an uninspired, underwhelming addition to the Fast and Furious Franchise that plays it far too safe while underutilizing its cast. Jean Jean's Froidepierre is as organic as it is futuristic; as heavy as it is precise.